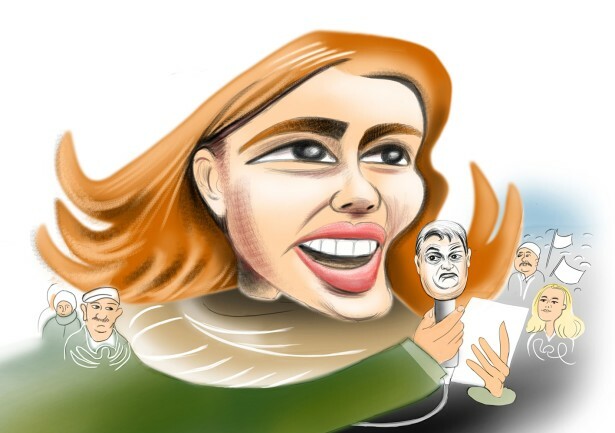 Recently Urs J. Knobel illustrated a caricature of Hungarian student, Blanka Nagy, for the Courrier International. Nagy, the 18-year-old high school student who gave a passionate speech against the prime minister and the Orbán regime is getting a lot of attention. Some say that she is polarizing the country and the national media. Is she a heroine anti-Orban or teenager without shame? This issue of the Courrier International is on the newsstands from January 31st - February 6, 2019.